Both a strategic and coveted site, Falaise Castle bears witness to the great Anglo-Norman power, from William to Richard the Lionheart and John Lackland. The keep is one of France’s rare examples of Anglo-Norman architecture. Born in Falaise in 1027, William accomplished his very first feat of arms within this castle. He was fifteen years old. His victory was the first act to seal his power over Normandy. His third son, Henry Beauclerc, was born in England following the Norman Conquest in 1066; as heir to both the Dukedom of Normandy and of the Crown of England, he totally transformed his father’s former castle. Around 1123, he had a great square keep built, similar to those he had seen his father, the Conqueror, build in England to secure the new Norman lords’ rights and properties. These rapidly built fortresses were referred to as ‘palace-keeps’, since they associated the combined function of providing defensive shelter and seigneurial residence. Falaise Castle was established on a site which had formerly housed other fortresses. As a genuine foundation stone for the Dukes of Normandy, its initial purpose was to protect the territory from enemy attacks. At the time when William was born, the castle was far from resembling its current-day aspect. For it was only truly transformed when one of his sons, Henry, undertook major work to enhance the inhabited areas. However, the increasingly vast Anglo-Normand territory spurred many more enemies to attack Normandy. In the 12th century, the French King Philip Augustus, whose kingdom was smaller than that of the Normans, confronted Richard the Lionheart and John Lackland. This is when Normandy became French. The saga of the Norman Dukes then came to an end. Yet, to gain popularity among the Norman people, Philip Augustus ordered for new towers to be built at Falaise Castle. Then, the Hundred Years’ War, famine and, in particular, the wars of religion led by King Henry IV, the protestant French king, inflicted major damage on the castle. The royal army’s guns pulverised the ramparts, which had not been designed to withstand such a charge. When the governor of Falaise surrendered to the French Army, the castle fell into neglect and its buildings gradually deteriorated. The castle was partly salvaged thanks to Prosper Mérimée’s fine arts plan in 1840, at which stage it was in a pitiful state. However, the Second World War, in turn, left behind many ruins, in Normandy in particular. 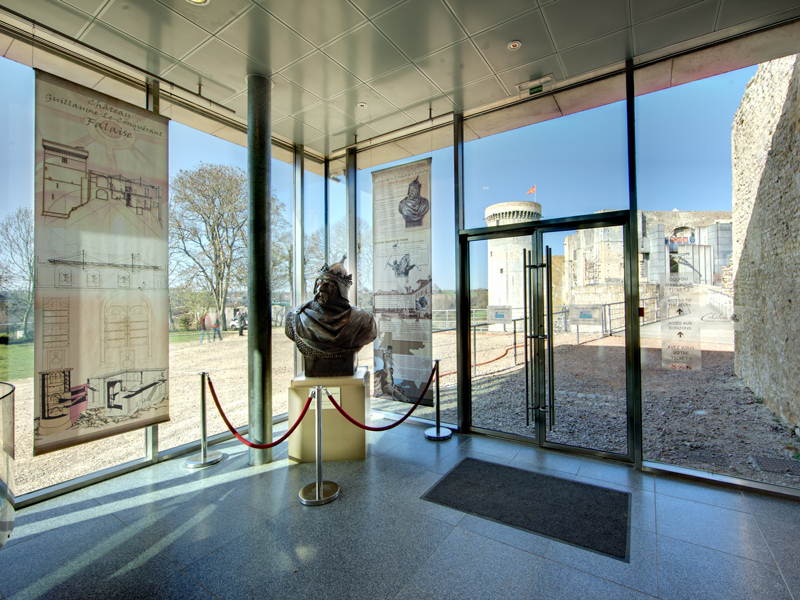 Since 1996, a number of work campaigns have been undertaken to restore Falaise Castle’s formerly superb aspect. It is now open to visitors. 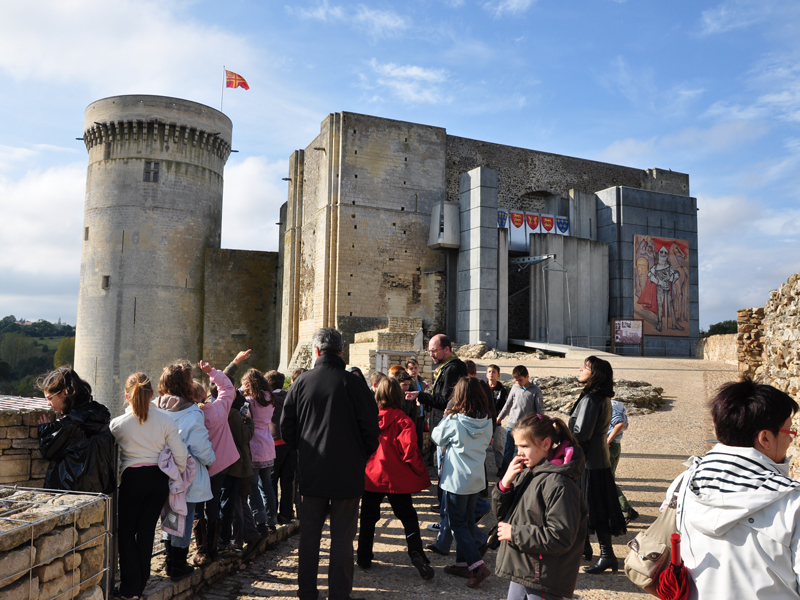 Guided tours for adults and children (including storytelling) are available at Falaise Castle.